It’s a bit odd that writing a post about Christmas trees and Christmas tree ornaments has planted a song from Fiddler on the Roof in my head. I don’t think Tevye would approve. 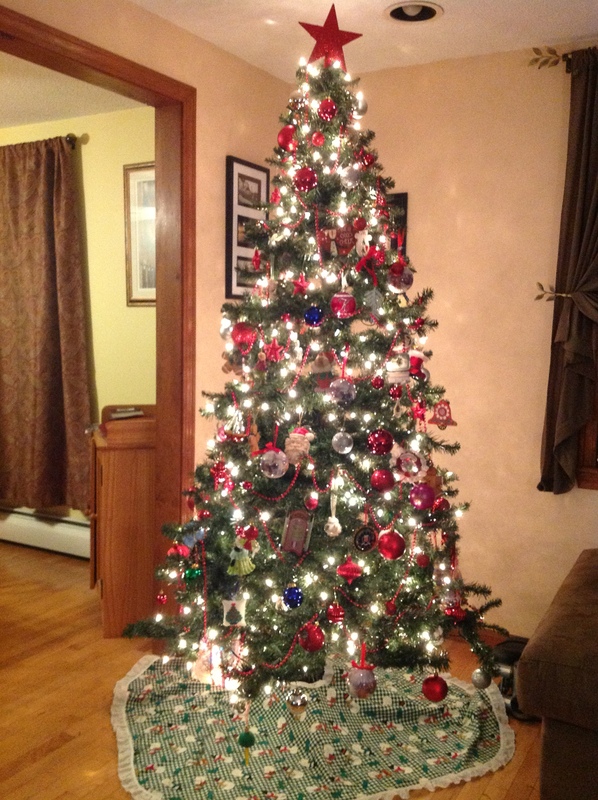 But even he would have to admit that my tree is lovely. From the new star at the top of the tree (a very cheap replacement of the one that was destroyed in a basement flood a few years ago), to the skirt at the bottom (which my sister sewed for me when she was living out of state and I decorated my first tree living on my own) , I could tell you a story about nearly every ornament in between. Speaking of my sister, I know she can do the same for the ornaments on her tree, and we both can identify the sparkly baubles and homemade trinkets that my parents pull out of their basement each year for their own tree. I thought it would be fun to share some of those stories with you. For the last several years, my parents have had a tradition of their own where they give my sister and me a new tree ornament each year. In addition to the thoughtfulness and sentimentality behind this gift, I also just plain old think it’s pretty. 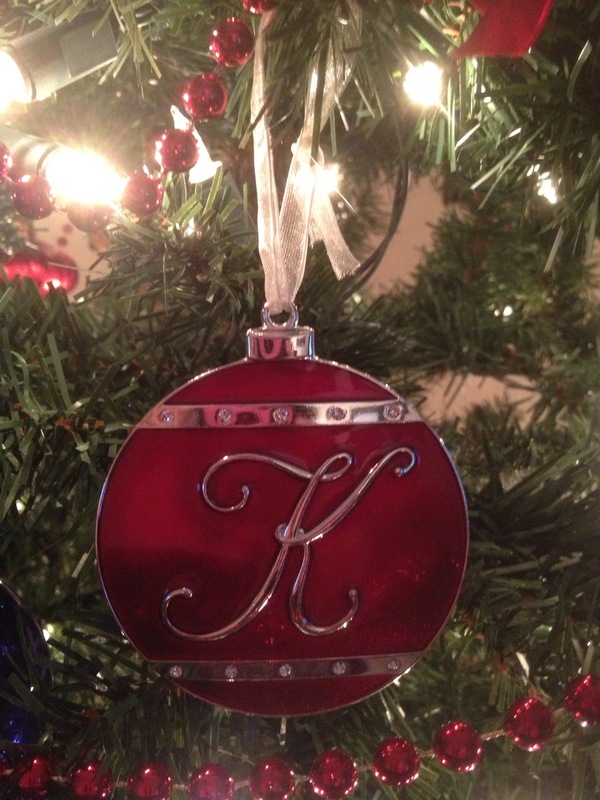 I’m a big fan of red ornaments – as you can probably tell from looking at my tree – and this new addition fits right in. Some of my ornaments are much older and originally came from my parents’ Christmas tree. 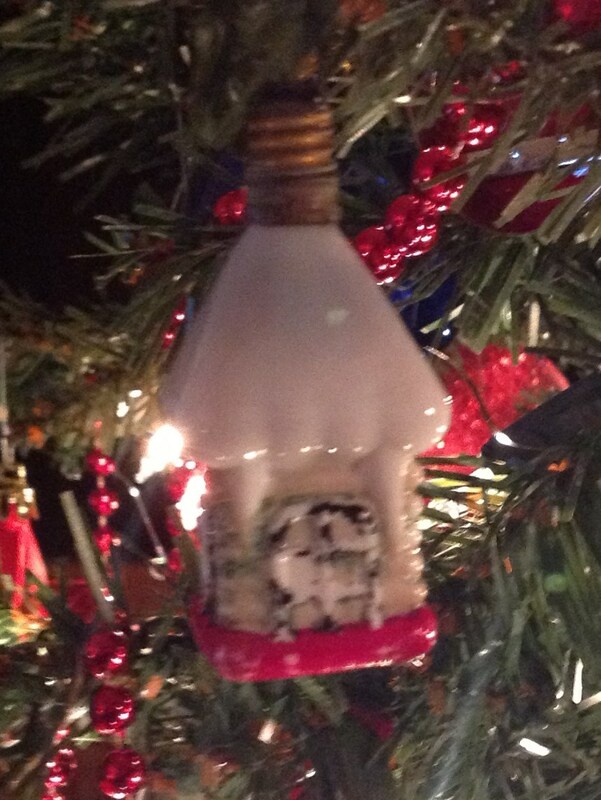 The first picture is of a bulb that was once part of a string of lights on my Dad’s tree when he was growing up. When it could no longer be used for its original purpose, he turned it into an ornament. 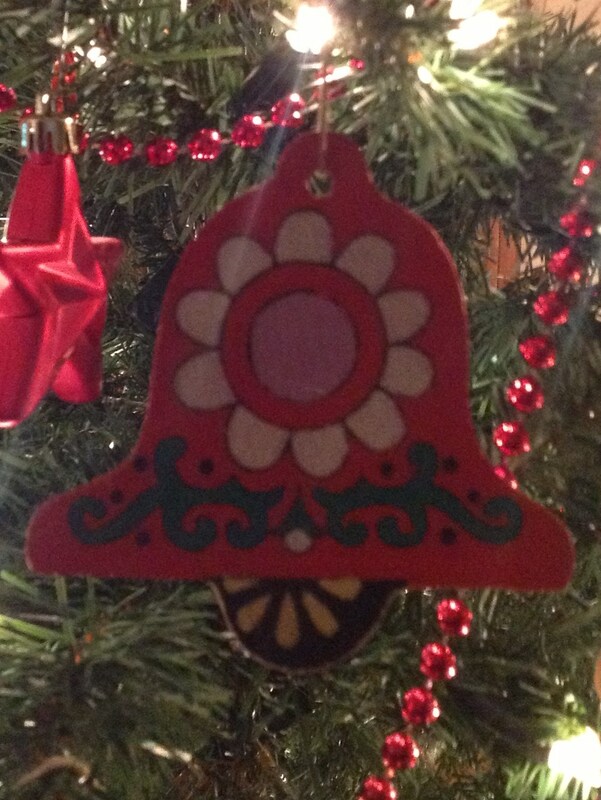 The next picture is of an ornament my Mom’s father handpainted – probably before I was born. So, that is just the beginning. Throughout December I’ll pop in here from time to time to share some other pictures and stories from my Christmas tree which is a big part of my family’s holiday traditions. I’d love to hear from you about yours!